I have really been enjoying trying out Essence products these past couple of months. To be honest, I haven’t come across one product I haven’t liked / loved. Their ‘Nail & Cuticle Butter Stick’ was featured in one of my monthly favourites and I am completely OBSESSED with their ‘Nail Art Nail Polish Remover Ultra’ (I might do a review or a type of nail care blog post soon). I also have a lot of love in my heart for their 3D eyeshadows. 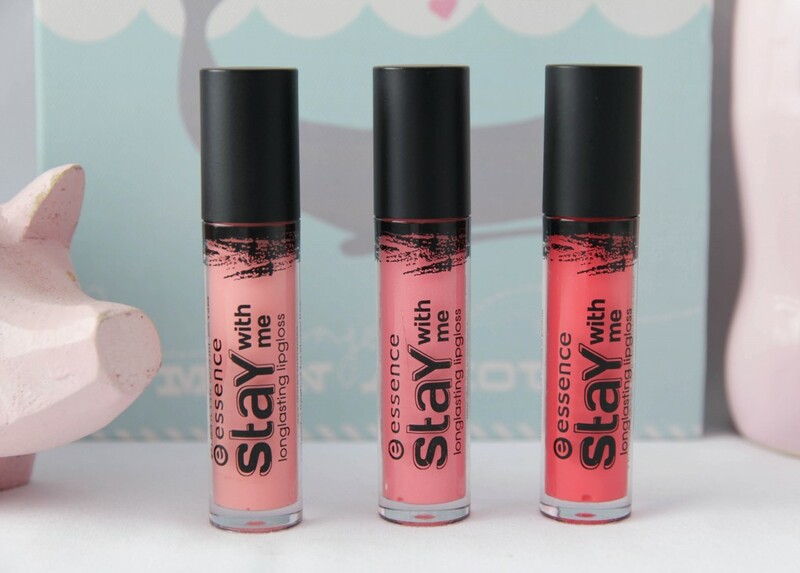 Today I’ll be reviewing 3 of their lipglosses. I have been testing them for a couple of months and decided I had to do a review, because I would like to share my love for these with you. I keep these in my handbag because they are just so easy to apply – no mirror needed! What Essence says: Now even more colour-intensive and long-lasting! 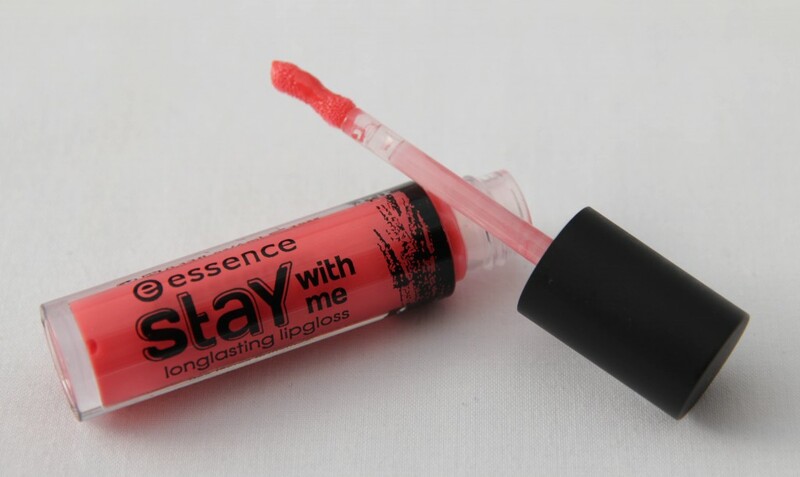 This lipgloss stays exactly where it should – on your lips – and stands out for it’s amazing colours. Available in a new, bright pink and a total of six colours. 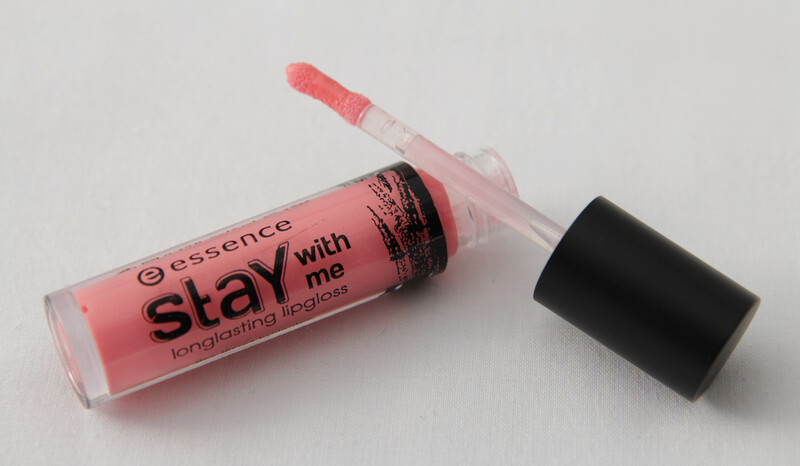 My review: I love these lipglosses. The pigmentation is spot-on, they glide on the lips like butter, the finish is long-lasting and none of the 3 colours I own settle into my lip lines. The texture is not sticky at all, and I feel they also moisturise the lips in a way (they don’t just sit there). 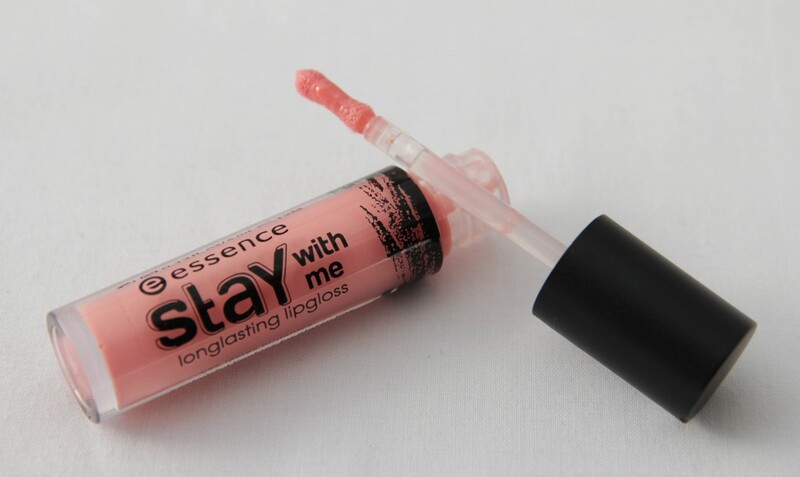 These lipglosses can be applied sheer but is also buildable to become a full-on lippie. The special shape of the applicator allows for precise application because it fits the bottom lip perfectly (but for some it might be a bit of an awkward fit for the top lip). The scent is super yummy, smells like marshmallows. The pro: These are creamy, smooth and provides a good amount of pigmentation. The best part in my humble opinion? They are very affordable, I wouldn’t mind paying double for these lipglosses because they’re just that good (but don’t get any ideas, Essence). The con: I’ve honestly only ever seen 3 shades at all the Clicks stores I’ve visited. Even if there are 6 shades, I feel they should expand the range a bit. My Favorite Milkshake is the lightest of the three. It’s a pretty warm-toned, pale pink colour and contains no shimmer / glitter particles. It is the milkiest shade out of all 3 shades but surprisingly doesn’t settle into my lip lines. I think this shade will look beautiful on most skin tones. Me & My Ice Cream is a bit darker than My Favorite Milkshake and contains very subtle shimmers (one definitely will not notice the shimmer once applied to the lips). It’s the most sheer out of all 3 shades and gives a natural shine to the lips. Candy Bar is a hot coral shade (perfect for Summer) and gives the lips a considerable amount of colour. I even found it tinted my lips ever so slightly after a few hours of wear. The price: R 29,95 for 4ml (available at Dischem or Clicks stores). I have seen 1 other colour in the shops, its like a burgundy colour. I bought it the other day but its more like a winter colour. I lurv your photos, Luzanne!!! That hot coral shade is gorgeous! Wow! These were released in Oz about a year ago and I picked up a couple of shades whilst on holiday. They only had pink shades stocked though. Need to get my hands on this coral one! Thank you, Lauren 🙂 I’ll definitely be wearing that coral shade in Summer, can’t wait! I am not a lipgloss person, but these colours are beautiful. As always, such beautiful photos that really make me love staring at your blog! Definitely want to try the candy bar for summer and the me & my ice cream for every day 🙂 such pretty colors! Lovely colours, might try the coral one!